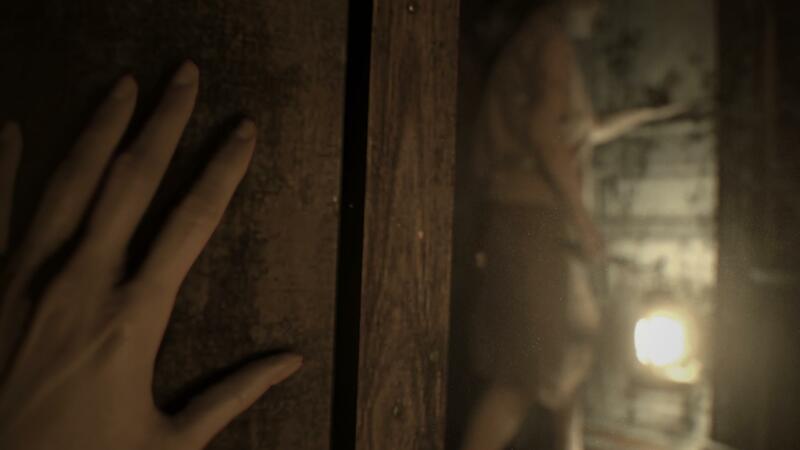 In a now-deleted listing on the ESRB website, a number of Resident Evil 7 details were revealed, including the name of the protagonist - Ethan. 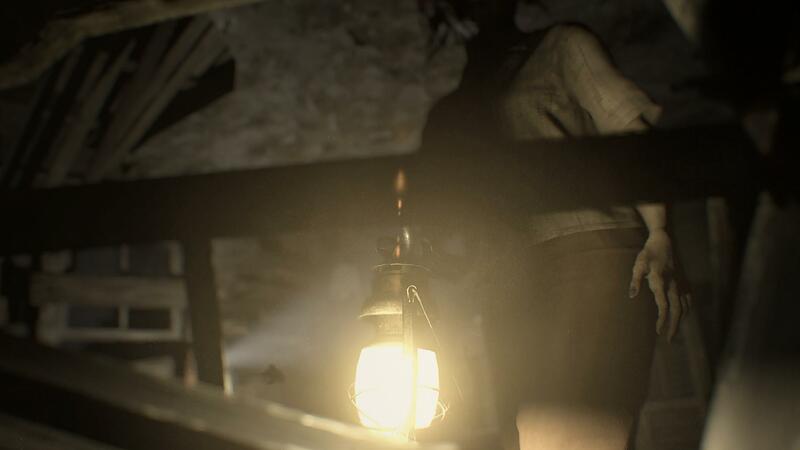 "This is a survival-horror game in which players assume the role of Ethan, a man searching for his missing wife in a derelict mansion," the description read. 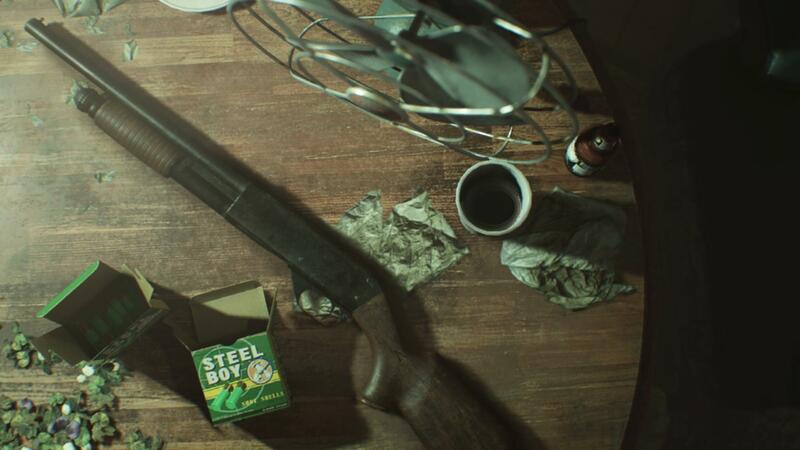 "From a first-person perspective, players explore the environment and use pistols, shotguns, flamethrowers, explosives and chainsaws to kill mutant creatures. 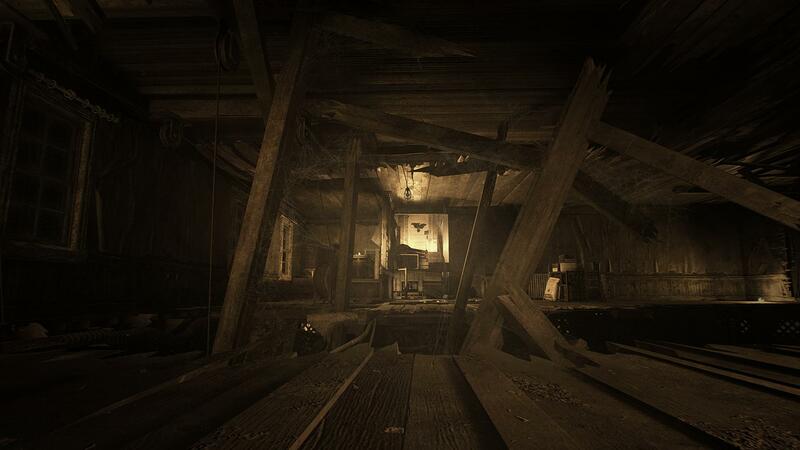 Combat is accompanied by realistic gunfire, screams of pain, and exaggerated blood-splatter effects." 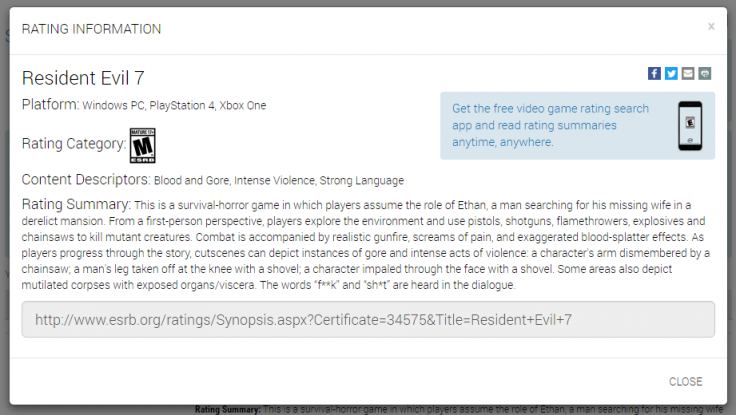 The summary also included information from cutsenes, which "can depict instances of gore and intense acts of violence." 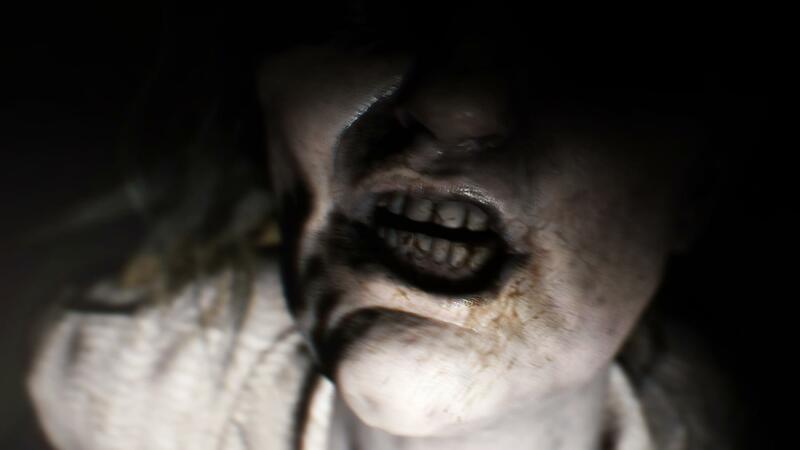 Examples given were dismemberment via chainsaw, a man having his leg removed courtesy of a shovel, and a character impaled through the face with a shovel. The summary also references areas that "depict mutilated corpses with exposed organs/viscera." 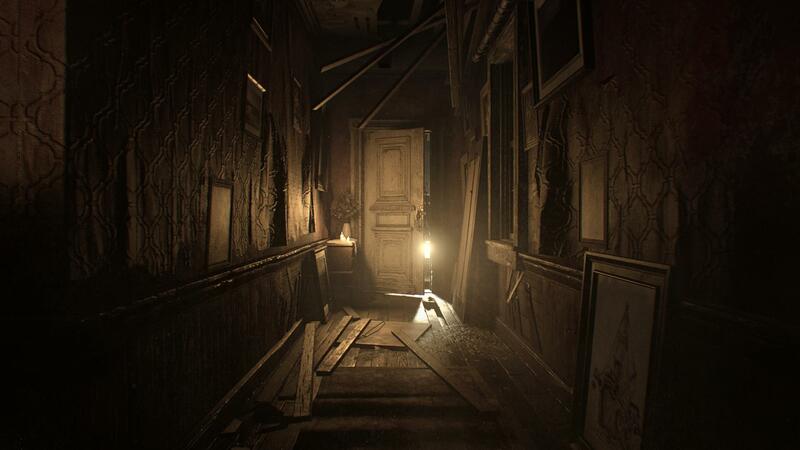 Resident Evil 7 was revealed during Sony's E3 2016 press conference, and a playable demo was released at that time - although the content from that demo is separate from the main game. 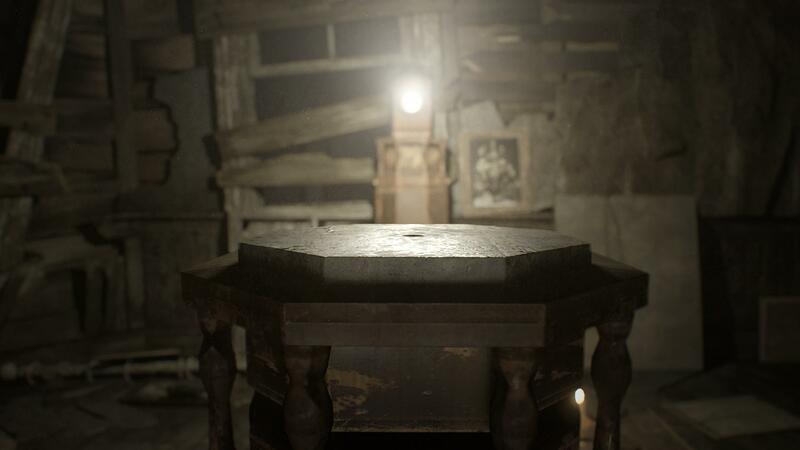 Capcom has stayed relatively quiet about the specifics of Resident Evil 7, choosing to slowly release hints to the content of the game rather than detailing it out of the gate. 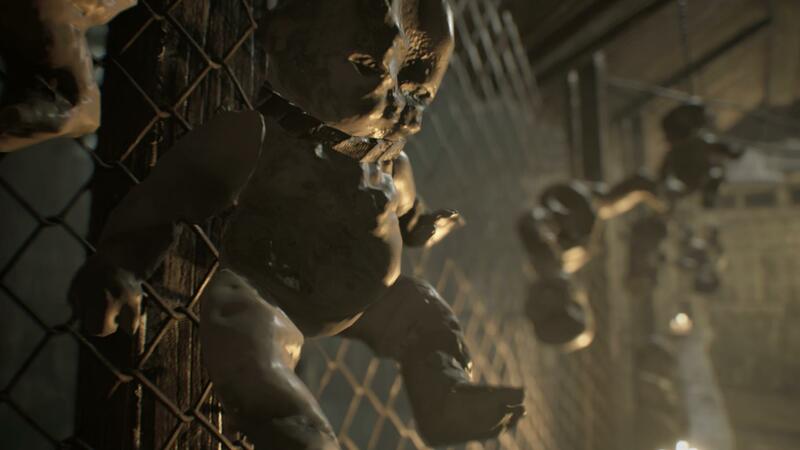 Resident Evil 7 releases on PS4, Xbox One, and PC on January 24.